Keep car interiors fresh for happy commutes and fresh arrivals. 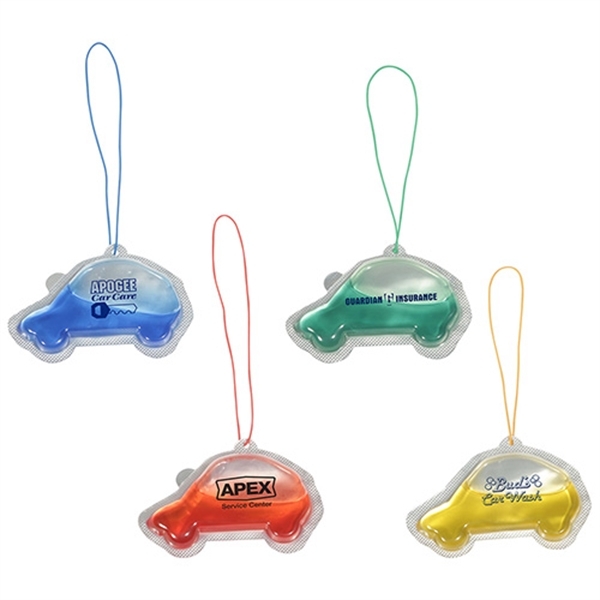 These auto fresh air fresheners are the perfect rear view mirror hanging accessory. Their cute car shape will delight while the specially designed freshener slowly releases scent for long-lasting enjoyment. These are a great way for car washes, body shops, mechanics, rental agencies and more to feature their brand in a prominent place in any vehicle! Invest in yours today! Size: 1 " x 3 " x 2 "
Ship Weight:17 lbs, Domestic Ground: UPS/FedEx only with ORMD labels. All air shipments including shipments to AK and HI: shipped via FedEx only.